Ultimately that is what it will be yes. The weapon model must still be adjusted to be closer to the backwing crystal structure. But as a placeholder it did the job. It also keeps to the backstory for her. A testing of the aerial Crystalwing with a possible weapon. A second Crystalwing will birth from the gateway, take to the skies and defend the base. Good luck Edhriano. If you need me to playtest once again just let me know. A little something new, as suggested by Edhriano as a potential model. Hi there Edhriano, Maybe a bit of a strange question, but what model were you waiting for exactly? 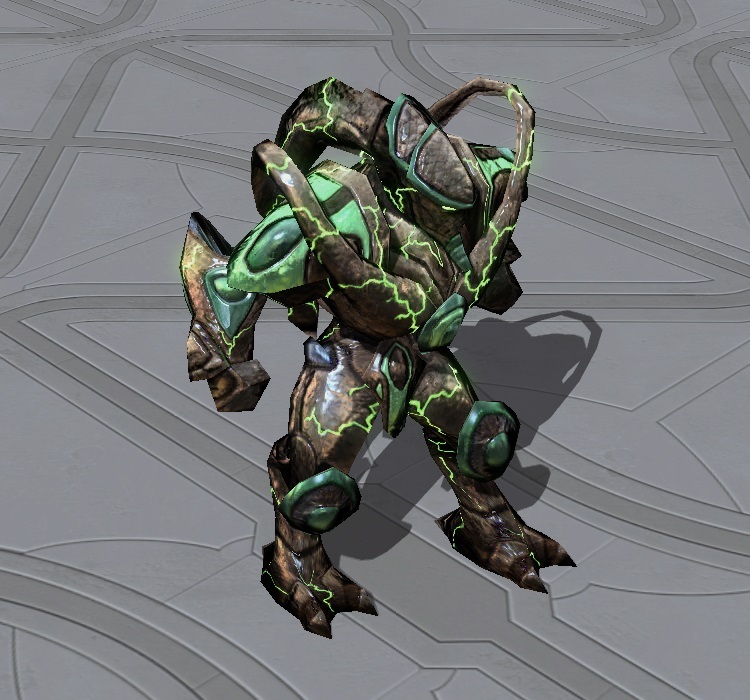 WingedArchon posted a message on Model of Dark Templar, Zeratul and Preserver broken in blender. Aah, seems like it then did work. Hadn't seen it created the file in the map where the models was dragged from. Hmm I'm still a bit puzzled by this. I drag a file onto the M3ToXml.py, it shows a black screen briefly similar as to how the hotfix thing works, but then nothing. I am missing something, just not sure what? Pretty proud of this one. I have been struggling a tiny bit with "How to make some with no face have a face"
I think it turned out pretty cool. Python I have. That is also needed for that hotfix programm I think. Alright, here I come with a dumb question. How does that conversion stuff work? I'm encountering the above error (or similar) also with the Stone Zealot. Is that one fixable or not?